LIFE'S A BEACH...: TIMES CHANGE...or do they? People I know know I love books. So people give me books all the time. One time many years ago I was gifted a box of old books. I mean REALLY old books! I was afraid to touch them. Arranged on my bookshelf they looked very "Authentic English Country House Formal Library," a setting Georgette Heyer (and other mystery writer of the early 1900s) used to stage murders. As I reorganized my office to start the new year, I took inventory of the titles. Lo and behold, this gem popped up. 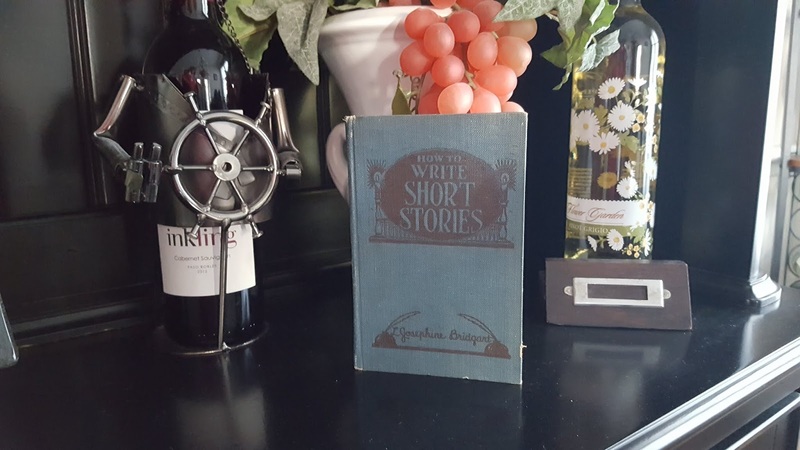 How to Write Short Stories by L. Josephine Bridgant, published in 1925 by Writer's Digest Books. I had been given the box of books before the short story arm of my writing career had begun. I had saved it purely for it's historic value. But I was curious...just how much has writing advice changed over the past 90 years? Turns out, not much. It's still important to develop strong plots, enlist strong (but not perfect) characters, follow the intro/body/climax format, and most importantly, make every word count! When it comes to the business end of writing, editors and agent back in the day battled an overflow of queries (not as much as today, with the aid of email, an agent can receive over 10,000 a year!). And the advice to "always be professional" still rings true. I'd anticipated a comedic romp back to the "dark ages" (ie: Pre-electronic publishing) of the writing business. Instead I learned that some things, such as good advice, never change. It was an excellent refresher, and prompted me to get fingers back on keyboard to write my next novella! Watch for a big announcement, soon.